The death toll from landslides and devastating floods in the central Philippines triggered by a tropical depression climbed to 85, officials said on Wednesday, and 20 people were missing as rescuers slowly reached cut-off communities. The casualties, including young children, were mostly killed when their homes collapsed in landslides after days of heavy rain in several provinces in the central Philippines, said Ricardo Jalad, executive director of the national disaster agency. “If we don’t recover the missing or we recover them dead, that is 105 deaths, which we hope not,” Jalad said. The tropical depression, which weakened into a low pressure system before leaving the Philippines on Sunday, brought heavy rain that triggered landslides and flooding in the Bicol and eastern Visayas regions. Officials put three provinces under a “state of calamity” to give them access to emergency funds. Bicol, with a population of 5.8m, was the hardest hit, with 68 killed in intense rains and landslides. Damage to agriculture in Bicol, which produces rice and corn, was estimated at 342m pesos ($6.5m). 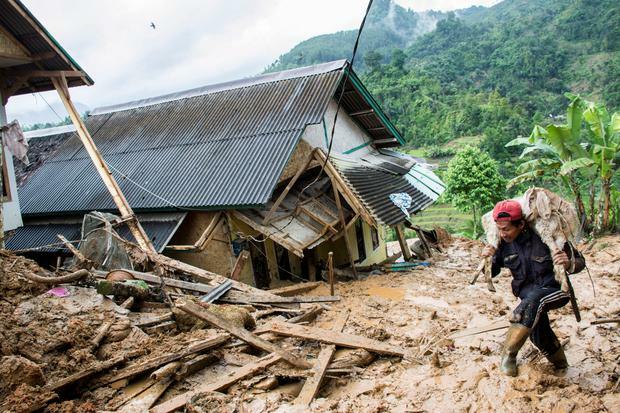 Rescuers, including the police and military, used heavy-lifting equipment to clear roads leading to landslide sites and entered flooded communities using rubber boats. “The sun is already out, with occasional light rains. We hope floods will subside,” Ronna Monzon, a member of the operations personnel at the disaster agency in Bicol, told Reuters. About 20 tropical cyclones hit the Philippines every year, with destroyed crops and infrastructure taking a toll on human lives and weighing down one of the fastest growing economies in Asia.